Paul Mitchell is the recruitment and retention coordinator and also teaches in the Reynolds School. In his role as recruitment and retention coordinator Paul oversees recruiting of new and transfer students and manages retention programs to ensure the academic success of Reynolds School students. Mitchell received the University’s Nevada Semenza Christian Award of Excellence in Teaching in 2008. Mitchell has taught several news writing courses in addition to sports writing and news editing. He is a graduate of the Maynard Editing Program (where he started work on his master’s in journalism) and also served as director of the Maynard Program at the University of Arizona, The University of California, Berkeley and the University of Nevada, Reno. Originally from Philadelphia, Mitchell was a reporter and editor for the Philadelphia Tribune (the nation’s oldest continually-published African American newspaper). He was a news editor for the Asbury Park Press newspaper in Asbury Park, NJ. Mitchell was an editor for The National Sports Daily, the first daily all sports newspaper. He taught at the University of Missouri Journalism School while also working on his master’s degree. 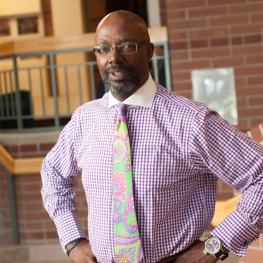 Mitchell completed his doctorate in educational leadership (higher education emphasis) at the University of Nevada, Reno and earned his bachelor’s in communications from the University of Pittsburgh.